David Peat (1947 – 2012) was an acclaimed Scottish filmmaker and cinematographer. Whilst perhaps best known as a director for his observational documentaries; such as Gutted, This Mine is Ours and Life’s Too Short, Peat was also an accomplished stills photographer. 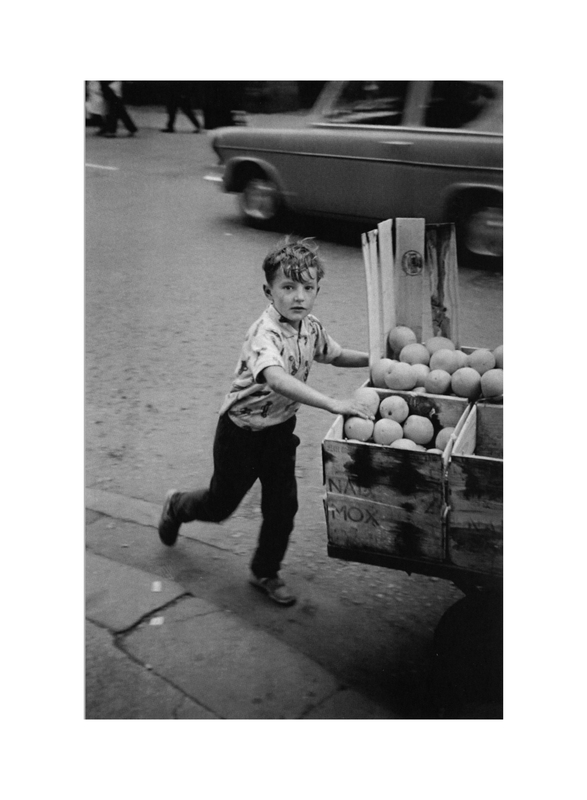 His early images of the street life of children in Glasgow and images made across the world over the last forty years were shown in ‘David Peat Photographer: A Retrospective’ at Street Level Photoworks in 2012. We are very pleased to be able to offer a selection of David Peat’s prints available for sale. These unique hand printed silver gelatin prints were made for the exhibition at Street Level Photoworks by fine art printer Robert Burns on Ilford Warmtone archival fibre based paper. Please note that given the unique handmade nature of each print tonality and colour may differ from the above reference image.